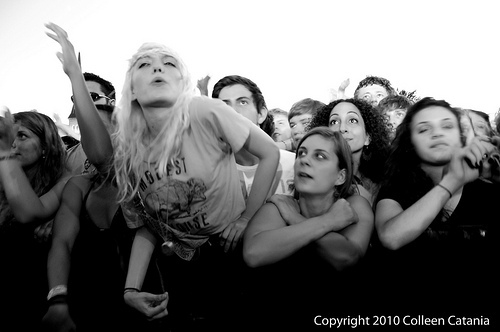 Live Fix Radio: Concert Fan Emotions: What Is The Source Of Your Live Music Pleasure? Live music would be meaningless if we didn’t have emotions. So how do our emotions impact our concert experiences, and vice versa? And how does our emotional, neurological and physiological makeup set the stage for us to experience shows we will never forget? During this episode of Live Fix Radio we dive deep into those emotional questions, share the latest music news and explore the music of Gayngs and other artists who’ve tugged at our emotional chords at concerts many times in the past. A most unexpected concert venue adventure: The Pyramid Scheme in Grand Rapids, Michigan. This is the cool article I mentioned. Battle of the Bands follow up: Did Darlingside win the Sennheiser Hear. I Am contest? Exploring concert fan emotions within the wonders of social media, natural history and other human obsessions. And here’s a few excellent resources mentioned during the show, follow by the live music news round-up and music from this week’s episode. Randolph Nesse‘s research on emotions. Wired reports on emotions and music. Is Beyonce Really an Inspired Artist? In order as it appears during the show, this is the music we used to rock your world during the podcast. Feedback isn’t just for microphones and soundchecks. Tell us what you think of the show. Are you an emotional concert fan, or not? When’s the last time you got emotional at a show? Do You Like It When A Band Experiments With Your Favorite Songs During The Show?